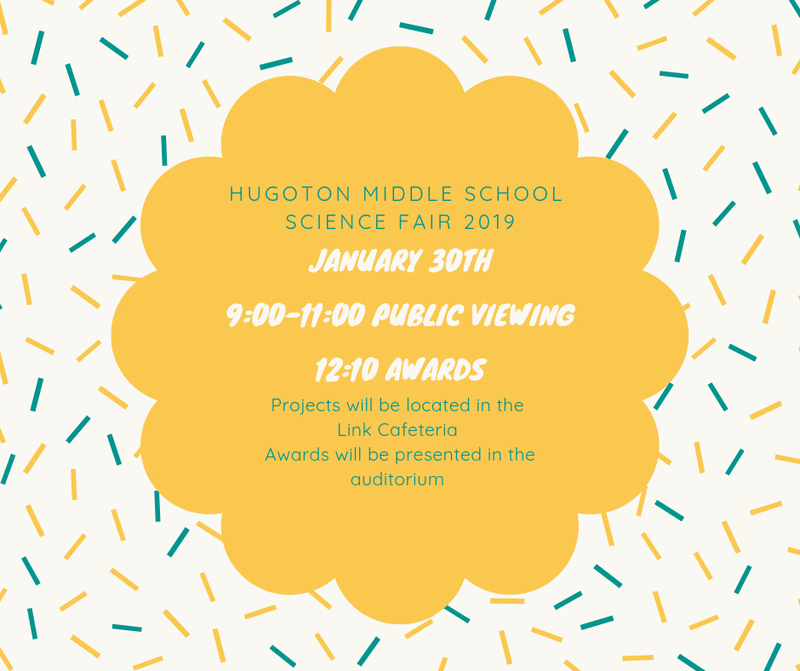 The 2019 HMS Science Fair is fast approaching and will be held on January 30th. Families & the public are welcomed to view the projects between 9:00-11:00. Awards will be given out at 12:10 in the auditorium. Please come in through the middle school if you are coming for awards.